Whatever you’re hungry for, the Clam Lake area of Northern Wisconsin offers you some quality dining choices. Here are some featured establishments that are ready to welcome you! Looking for a place to stay? Clam Lake offers a variety of lodging options, too! 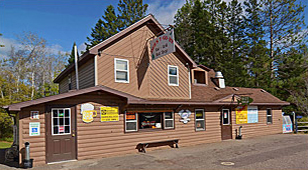 Ransom’s Place (formerly Deb’s Y-Go-By) is conveniently located in downtown Clam Lake on Highway 77 and snowmobile and ATV trails. Serving refreshing beverages, hot appetizers, grilled burgers, sandwiches, pizza and more. The Bait Stop has live bait, fishing lures and fishing tackle, camping supplies, soda and beer, fishing and hunting licenses, and more. For more info, please call 715-794-2272. Direct access to the many miles of snowmobile and ATV trails. 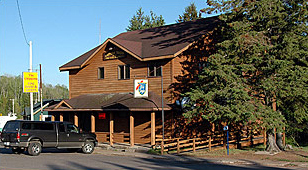 Elkhorn Lodge is a cozy bar, restaurant and motel located in downtown Clam Lake at the intersection of Highways 77 and Hwy M. Reasonable rates for motel rooms. Hwy 77 & Hwy M Clam Lake, WI 54517. Fine Food & Spirits! Now serving Chicago Style “Stuffed Pizza” (A Gourmet Pizza)!!! The Chippewa Tavern’s “Stuffed Pizza” is truly a symphony of flavors made with: A sauce that begins with whole tomatoes and spices and is simmered for hours, classic pizza dough that is made fresh daily and the highest quality of ingredients “stuffed” inside. Thin crust pizzas also available! Also serving daily specials including chicken dinners, steak sandwiches, hot beef plate, shrimp basket, Friday night fish fry (beer battered deep fried or grilled) and homemade chili and soups! Dine in or take out. 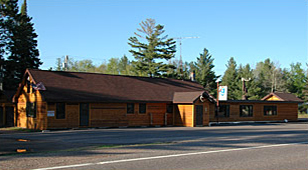 The Chippewa Tavern is located in Clam Lake on Hwy. 77. For more info call 715-794-2450 or visit their web site http://chippewatavern.com/.